How "heritage" are the call letters for WAMO? 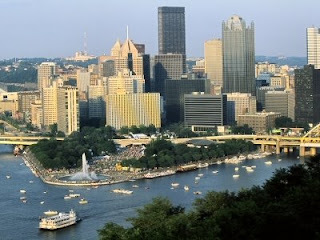 The “AMO” comes from the names of the three rivers that flow together in Pittsburgh – Allegheny, Monongahela and Ohio. So you can imagine how much the station is a part of the fabric of Pittsburgh and the African American community. Sheridan spokesman Russ Bynum says WAMO's studio phones have been ringing constantly since the pending sale is still subject to FCC approval as it was announced over the weekend. "Mostly we're hearing from listeners who are sad to see this happen, but they understand that there are changes happening in every side of media," he said. The station ranked among the top 10 in audience recently, Bynum said, which means the loss of WAMO's FM and AM signals will leave a gaping hole in urban broadcasting in our area. Bynum says, however, the locally based Sheridan Broadcast Network, which still operates urban stations in Atlanta, Buffalo and Birmingham, Ala., has a network of 300 affiliate stations across the country to which they provide blocks of music and news similar to that found on WAMO. Personally, I wonder if the widespread acceptance of rap and R&B music among non-black listeners may have something to do with WAMO's impending sale. Long gone are the days when only black Pittsburghers listened to hip-hop sounds, and there are several other local FM stations where listeners can tune in for urban tracks. The date of the WAMO/WPGR format change is not known. It will happen within six months, if the FCC approves the deal. The new owner also would have the option to take over under a local marketing agreement and start running programming sooner. When that happens, Pittsburgh -- a city with a sizable black population -- will be without an urban format. 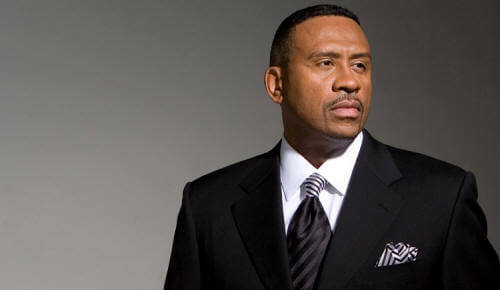 Sheridan also was a major employer of African-Americans in on-air and management jobs at its stations. Eddie Edwards, the former owner of television station WPTT and a longtime champion of African-Americans in broadcasting, yesterday decried the loss of the radio stations, not only for their content but as employers in the community.